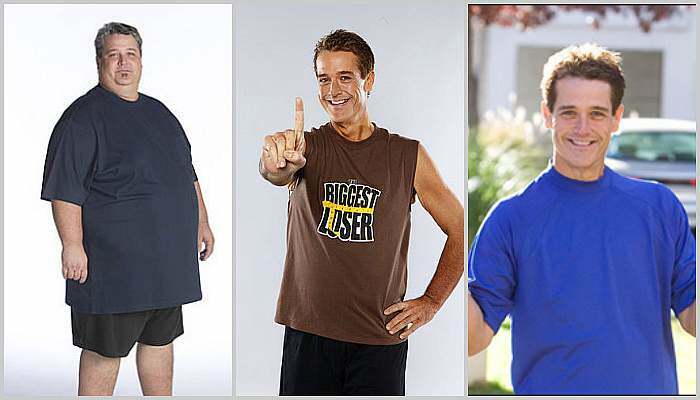 I wonder if most people who watch The Biggest Loser think, “I wish I could do that” -or- “If they can do it, so can I”? The contestants are luckily surrounded by all the tools and support they need to lose weight, BUT reality is much different and most people don’t have a multi-million dollar production budget at their disposal. Season after season the show continues to wow its viewers, but is the dramatic weight loss permanent after the show is over? How do these contestants fare when they return to the reality of normal life? In one season, he was able to lose a staggering 122 pounds! So how is Ryan Benson doing these days? An article in Time magazine checked in with some of the former “Biggest Loser” winners, including Benson who has gained back roughly 90 pounds after the show was over. He claims that as soon as the show was over, he regained “32 pounds in 5 days simply by drinking water.” This is incredible and points to the fact that when any person loses weight rapidly, (faster than 1-2 pounds a week) normally the weight loss is mostly due to water loss. At last report Ryan now weighs 300 pounds. 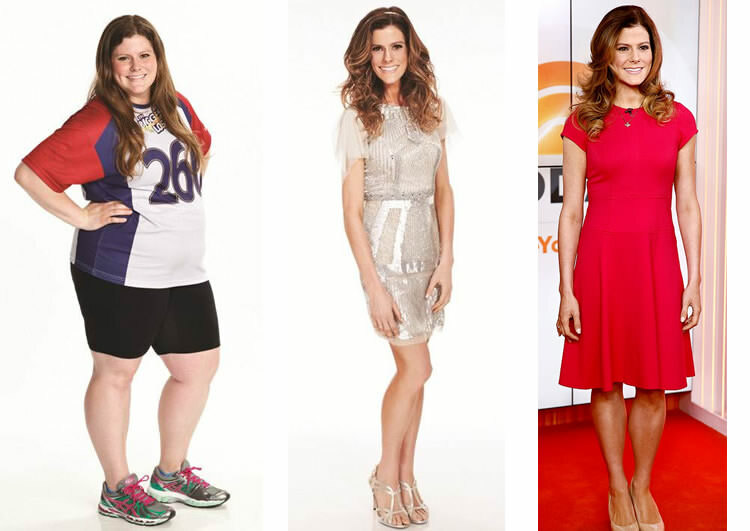 Kelly lost 79 pounds during the show. Where is Kelly Minner Now? One former participant who is still losing weight after losing the show is Kelly Minner. 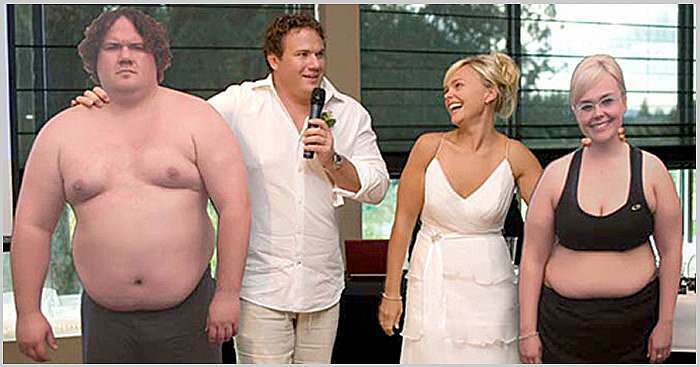 He lost 157 pounds and she lost 95 pounds but have since gained some of the weight back. They aren’t giving up though and are continuing on the weight loss journey. Matt now weighs 237 and Suzy weighs 175. Please see our comprehensive guide to flexible dieting/IIFYM. It contains everything you need to know and do to be successful with tracking macros to lose weight while eating what you love. Although he had one of the most dramatic weight losses in the show’s history, he gained most of the weight back. He weighed 407 pounds before the show and returned to 368 pounds after the show. He ended his weight rebound after a 2010 documentary featured his story. He now weighs 245 pounds. Season 3’s Runner Up, Kai Hibbard, Reveals Biggest Loser’s Dirty Secrets Here. 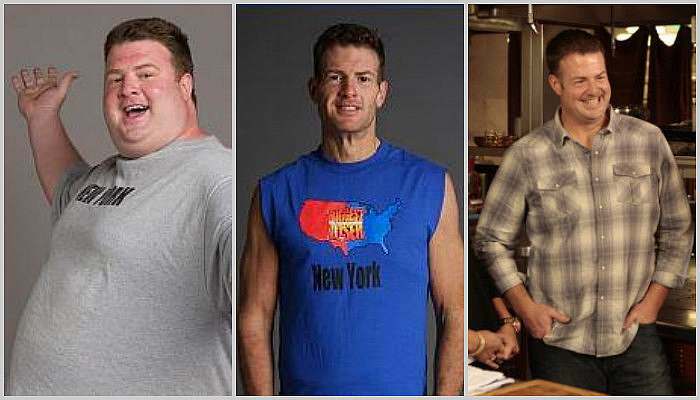 He lost 164 pounds on The Biggest Loser and only gained 37 pounds back after the show. He’s now a spinning instructor and weighs 207 pounds. She was the first female to win on the show with an 112-pound weight loss. She managed to maintain the weight after the show. This weight loss launched her new career with her own book and website. She has a new show: Live Big with Ali Vincent where she gets back on the scale and intends to get back on track. It airs on The Live Well Network. She weighed 242 pounds at the beginning of the show and 132 pounds at the end to claim the prize. However, she doesn’t disclose what she now weighs. Never ask a woman her weight, I guess. From pictures and current videos, it looks like she has kept most of the weight off. The weight loss tool that trumps everything else. Helen lost 140 pounds on the show and only gained back 18 pounds. She is the oldest Biggest Loser and has the record for losing the most weight. She now works to end childhood obesity and she speaks candidly about her plastic surgery to remove excess skin in this video. Danny lost a whopping 239 pounds to win season 8 and he has kept most of the weight off since. 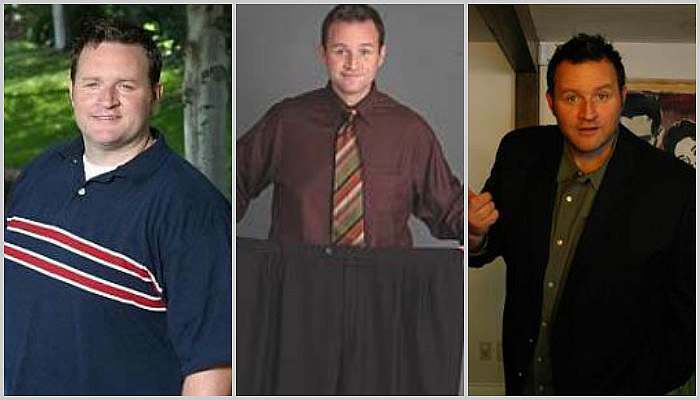 He is now a motivational weight loss speaker and singer that travels the country. Here’s his website. He started at 526 pounds and weighed 262 pounds at the show’s finale. After the show, he became a trainer and professional public speaker. He now weighs 289 pounds, but says he no longer focuses of the scale but his measurements. Patrick only weighs 16 pounds more than he did when he won The Biggest Loser and has been working on building muscle. He now works with overweight teens and completed his 3rd Boston Marathon. He also wrote a book is called “As Big as a House”. Patrick’s current weight is 235 pounds. Having trouble breaking a weight loss plateau? Here’s help. 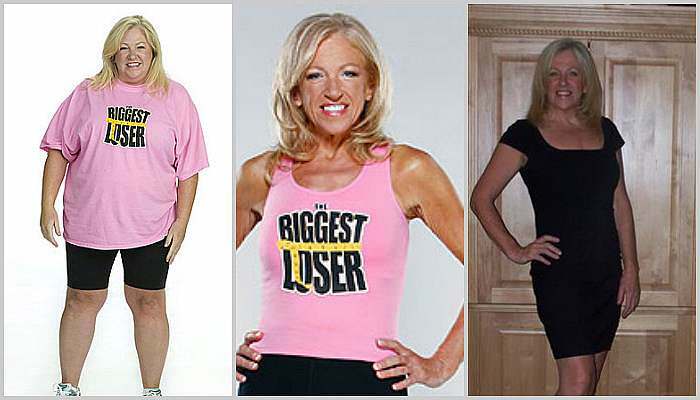 She started The Biggest Loser weighing 261 pounds and then dropped to 132 to claim the show’s title. Now she’s just 10 pounds heavier and appears regularly on the Dr. Drew Show as a weight loss guru along with her sister Hannah. Here’s their website. It looks like she has kept the weight off. 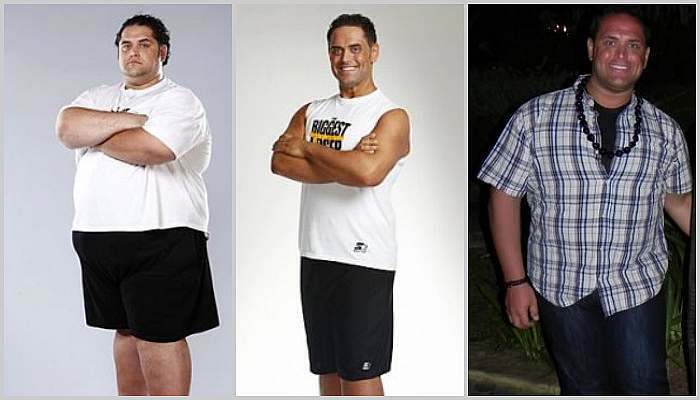 John was a 40-year-old teacher and coach when he entered the Biggest Loser Ranch and weighed 445 pounds. He dropped an amazing 220 pounds and won season 12 weighing 225 pounds. It looks like John has gained a little of the weight back, but is active running marathons and doing Crossfit while inspiring others to get fit and live healthier. He now weighs between 225 and 230 pounds depending on what he’s training for. 22-year-old Jeremy was 389 pounds when he joined the competition and had been overweight most of his life. He won season 13 by losing 190 pounds weighing just 190 at the finale. Since winning Jeremy is working on maintaining his weight loss. The newest winner is Danni Allen. She started the competition at 258 pounds and finished at 137 for a loss of 121 pounds. She is now enjoying her win and is doing the talk show circuit talking about her experience on The Biggest Loser. Here’s the most important ingredient to diet success. Rachel Fredrickson recently became the Biggest Loser in the show’s history with an astounding 60% weight loss for a total of 155 pounds shed. Some of the show’s fans on twitter expressed concerns that she actually looked too thin at 105 pounds during the show’s finale. She has gained about 20 pounds back since the show. 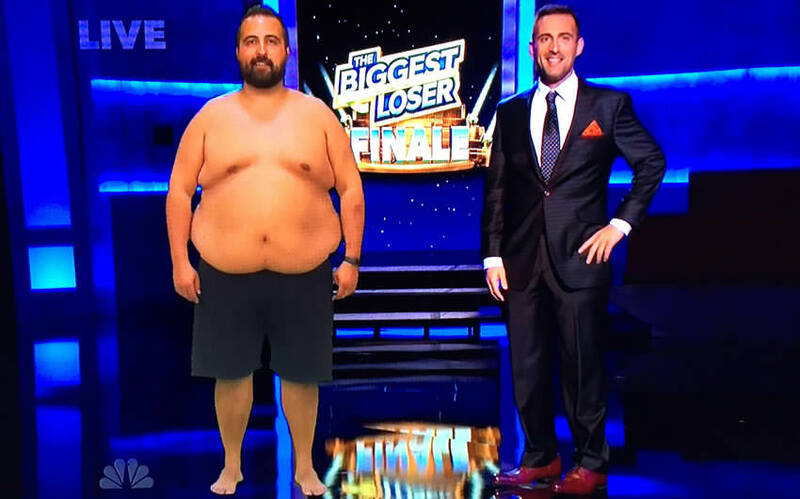 Former Contestant Slams the Biggest Loser Here! This season of NBC’s Biggest Loser featured former star athletes who had let their once fit bodies decline after they quit playing their sport. Former soccer player, Toma Dobrosavljevic took the grand prize with an astounding 171-pound weight loss! His starting weight was 336 pounds and he weighed just 165 pounds at the finale. A year later, Toma is going strong and has kept the weight off. He now being paid by Planet Fitness and DietBet.com to endorse their services. 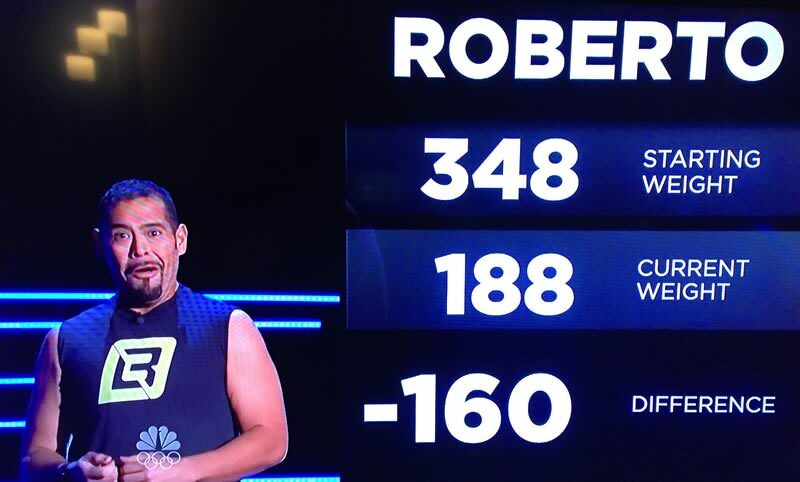 Roberto Hernandez, a teacher from Chicago, took the grand prize after losing 160 pounds in all. He started the season weighing 348 pounds and at the finale weighed in at 188 pounds. His twin brother Luis won the “at home” prize with an amazing 139-pound weight loss. 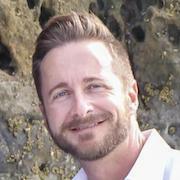 This season contestants were constantly being tempted with cash to give up and go home which was a first for the reality show and Bob Harper took over as the show’s host. In 2017 NBC officially cancelled the Biggest Loser. 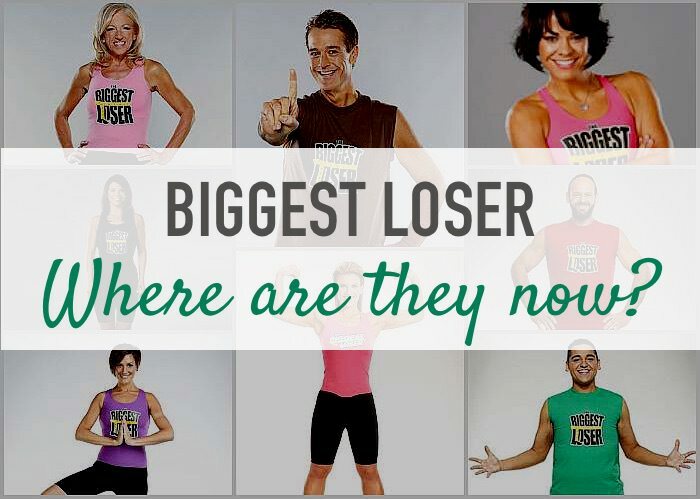 Based on the previous Biggest Loser contestants, do you think the show promotes long-term weight loss success or just short term benefits? It shows us all just how easy it is to put on weight when getting fit is no longer part of a show’s production value. Credit: Thanks to NBC for the images. Disclaimer: Your results may vary and the contestants’ were largely due to their dedication and adherence to their calorie/macro protocols. I love the show l am watching the old re runs at present, l think it depends on each person and their persistence after the show to keep the weight off . I love Bob and the trainers , however Juillian ‘s way is harsh in my opinion bordering bullying. How/where are you watching the re-runs? I was watching them on Hulu but when they pulled the show, they slso pulled it from Hulu. I didn’t get to finish watching them. Hi, So they have gained a little or in some cases lost more. Why is the show not on because a Contestant sued. Then make the contracts better. Look “My 600LB Life” ppl have died from that surgery. I understand it’s a surgery. I see it worse then loosing it by drastic dieting & exercise. Both shows all the ppl who signed up for it Knew what it was. Some it’s their last hope for this eating disease/disorder.